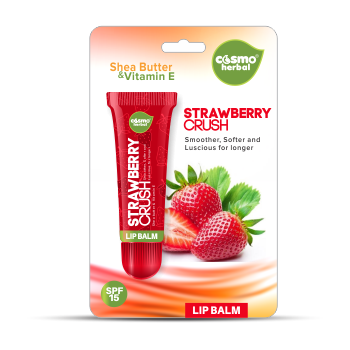 Cosmo’s range of lip balms brings you Perfect Protection & Perfect Pampering so you can say goodbye to dry, chapped lips. Enriched with shea butter, Vitamin-E and fruit concentrates, it is all you need when you want to show your lips some love. Enriched with a plethora of nutrients, it protects your lips from chapping. Keeps lips smoother, softner and luscious for longer. Directions: Apply liberally whenever needed.